Step one: Install X431 IDiag software on IPhone. Firstly, open Appstore on your IPhone, search X431, in the search result click one area to install, for example X431 china. Plug DBscar interface near the steering wheel as the following picture shows. Open X431 IDiag , turn on the ignition of the car. Open the Bluetooth of IPhone to search the device, the name of device Bluetooth is diagnostic connector serial number; to match Bluetooth does not need password. After login, click “connector registration” in the “settings”, (register X431 IDiag diagnostic connector into CC account). The diagnostic connector serial number will automatically get, if not, please exist the software and enter again or manually input the connector serial number ( the SN is marked on the DBScar connector). 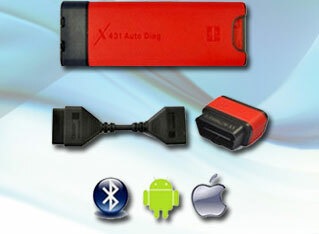 Click serial number and in the box of X431 IDiag you open the password letter to get the password. Finish registration as the following pictures shows. 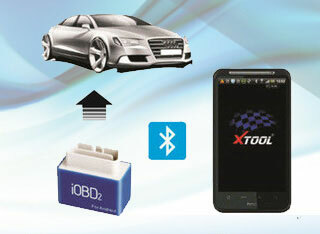 After finish registering x431 IDiag, please click “get the software” (browse http://www.dbscar.com/), log in with the CC number and password, then go to the page for ordering the software, select the software according to the car model, you are available to buy multiple software as you want. Back to the page of car models selection, click the car model icon you paid. You are ready to diagnose. The following pictures show how deal with the southeastern cars. Some customer told me that they had upgraded their X431 IDiag app to the latest V3.0 version, but the new app cannot log on the new app from their iPhones. Some customers said they could log in but the app would not work at all. If you have upgraded your app for X431 IDiag scanner to V3.0, please uninstall the app and download a relative old V2.8 version instead. If you have not upgraded your X431 IDiag app, please keep using the old version. We are sorry for the inconvenience. The new app is recently submitted to the App Store, but due to a server problem, the app is disabled. We have re-submitted a new V3.0 X431 IDiag app to the App Store. After the app is approved, you will be able to upgrade the app successfully.